Cat #20218 | I Want To Draw a Cat For You! Michael gifted a cat to Erin! 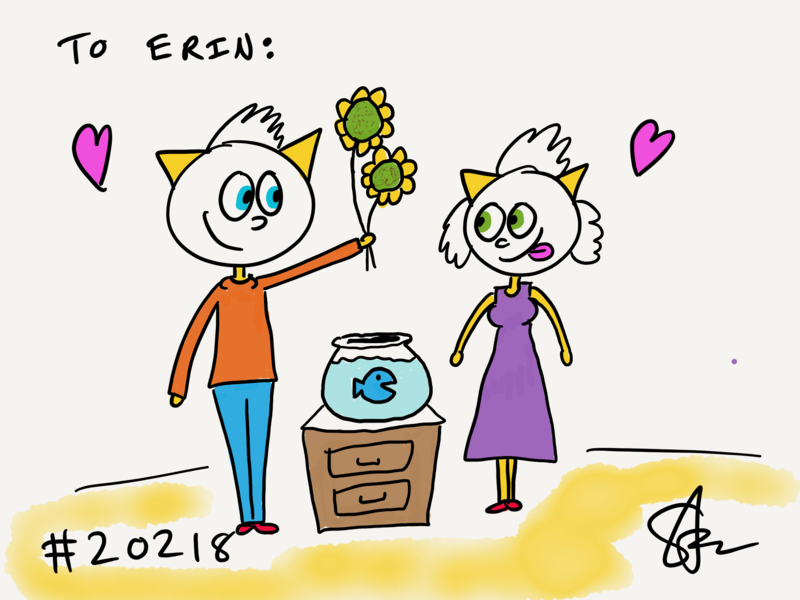 He wanted a guy cat giving sunflowers to a girl cat. Their pet fish is there! Whoopy!